Integrated Step Motors fuse step motor plus drive and control components into a single device. Integrated steppers offer a space-saving design that reduces wiring and saves on cost over separate motor and drive components. Ideally suited for applications such as packaging and labeling, automated test and measurement, automated assembly and life sciences, StepSERVO™ motors from Applied Motion Products provide the next evolution integrated step motor technology. Starting with a proven integrated motor design, we add a high-resolution incremental encoder and closed-loop servo firmware to create a motor that offers the best step motor performance available today. 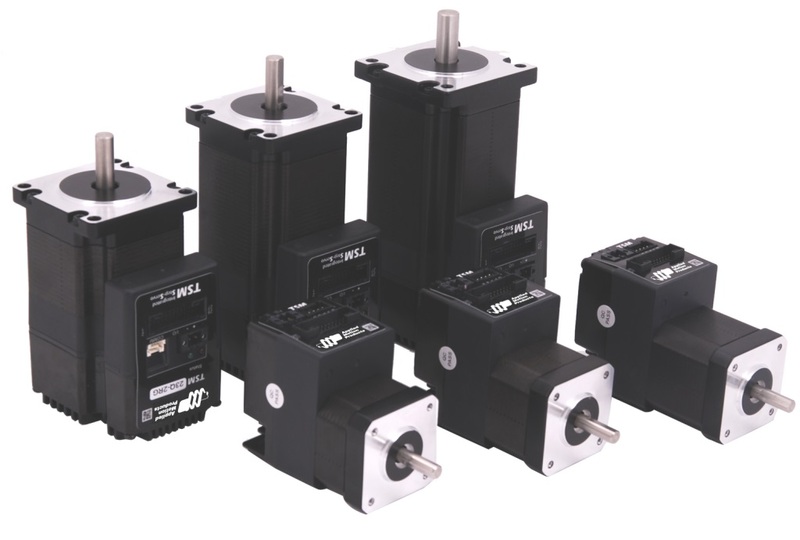 StepSERVO™ motors offer the same high-torque-at-low-speed and excellent holding torque characteristics of open loop stepping motors with the advantages of true closed-loop control. These advantages include the ability to create peak torques from the motor up to 50% higher than the normal torque range of the same step motor running open loop. Closed-loop also means the motor only draws current when it needs it, so step motors now run cooler than ever before.